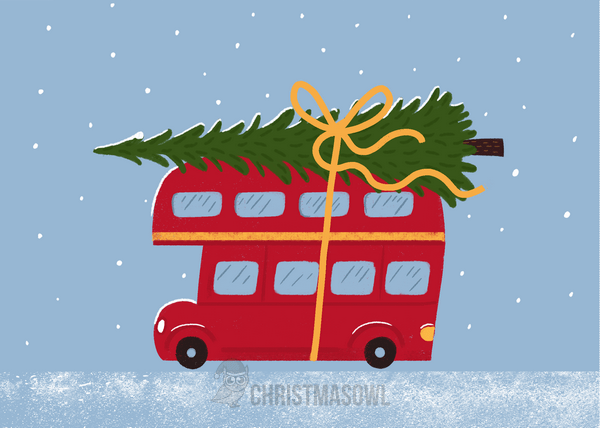 London-themed Christmas card that features a double-decker bus hauling a Christmas tree in a winter scene. The card measures 5 inches x 7 inches. It will fit in a standard A7 envelope.